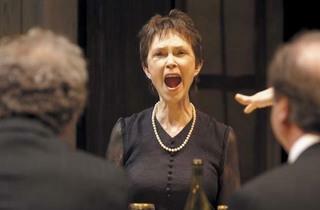 The Tony winner returns to the stage for the first time since August: Osage County. 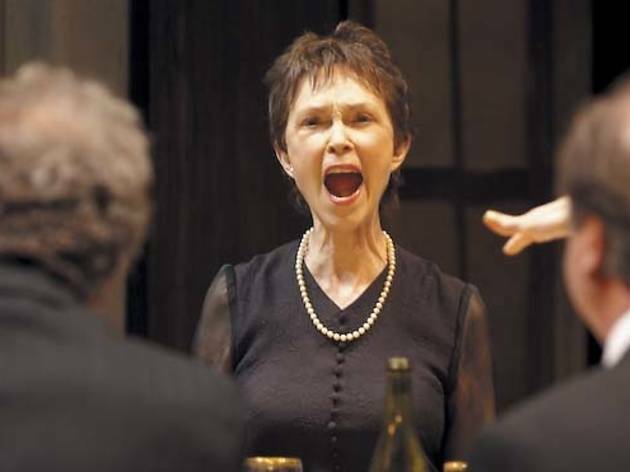 Dunagan’s back as a very different matriarch: Madame Armfeldt in Stephen Sondheim’s A Little Night Music, directed by William Brown and costarring her friend Shannon Cochran as her daughter, Desiree. What have you been up to since August: Osage ended? You know, it sounds like very little, actually. I did several independent films, but not enormous parts in any of them. One just came out and played at the Chicago Latino Film Festival here, called Mariachi Gringo. But my part was really cut. And then I had a recurring role on the CBS series Unforgettable. And then, unfortunately, my mother died. She was diagnosed last summer, so I spent four months with her in Texas. Several theaters talked to me about projects, but they just weren’t…either I didn’t think I was right for the part, or they weren’t very interesting to me. So I just kept doing TV stuff. How did A Little Night Music become your return vehicle? Years ago, I did Butley with Bill Brown at Writers’, when it was just the back room in the bookstore. Shannon [Cochran] and I have been best friends for years; we did Stepping Out together at Steppenwolf back in the ’80s. She introduced me to Bill. He’d asked me to do a couple of other things with him; in one case he’d wanted me to come up to Spring Green [Wisconsin, home of American Players Theatre], and that contract up there is so long. And it takes you out of Chicago in the summer, which is when you really love to be here. Shannon and I had been looking for a project for years, and it’s just very hard to find a play that both of us can be in. We’re not quite far apart enough in age to play mother-daughter very realistically. But in this play, it works very well. Bill approached us with the idea, and we just couldn’t say yes fast enough. What’s your take on Madame Armfeldt? Bill didn’t want me to do what has always been done with the part. I’m certainly not Hermione Gingold. And I didn’t see Angela Lansbury, but I’ve seen a couple of things on YouTube—you know, these very stern women. The idea that this woman who was basically somewhat of a courtesan, would’ve had all these barons, counts, kings, and be this martinet? You sort of think, Well, that’s their wives, isn’t it? Wouldn’t they rather escape with somebody a little less…fierce? A lot of the lines are funny in that brusque way, but you’d be surprised how many of them lend themselves to another interpretation. A little sexier, too, even at my age. Now in previews, A Little Night Music opens Thursday 10 at Writers’ Theatre.